What’s included in Qumulo subscription? Qumulo’s file system includes a comprehensive REST API. In fact, all the information represented in the Qumulo GUI is generated from calls to the Qumulo REST API. A tab within the GUI provides a self-documenting resource of the available REST API calls. 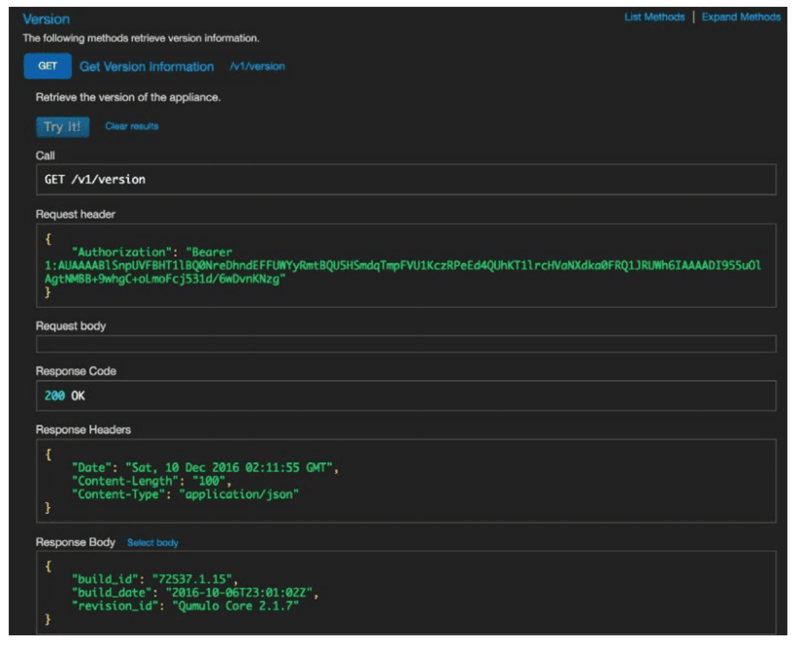 All of the information presented in the Analytics tab in the GUI can be programmatically retrieved with REST calls against the API, and stored externally in a database or sent to another application such as Splunk or Tableau. Most file system operations can also be invoked with the REST API.